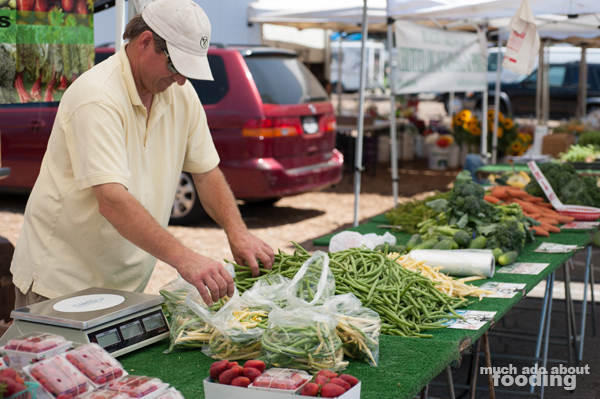 We should have foreseen the glaringly obvious issue we would run into as we covered more and more farmers' markets - they change with the seasons. Why didn't I think of that? As we hop around every weekend seeking out the ones in different cities, we should also be paying attention to what the weather and land will be governing for the markets. Both you (the reader) and I should also be aware that farmers' markets change quite rapidly aside from their vendors available who flow in and out with the seasons. Duc and I went back to the farmers' market located at the Great Park which is open on Sundays from 10am to 2pm after not having gone for a few months, and the set-up had completely changed. The vendors were still great (those who were present) but there was a marked difference in the layout and even the number of available stands. The main entrance to the farmers' market is consistently bustling with people from couples to families with multiple children. 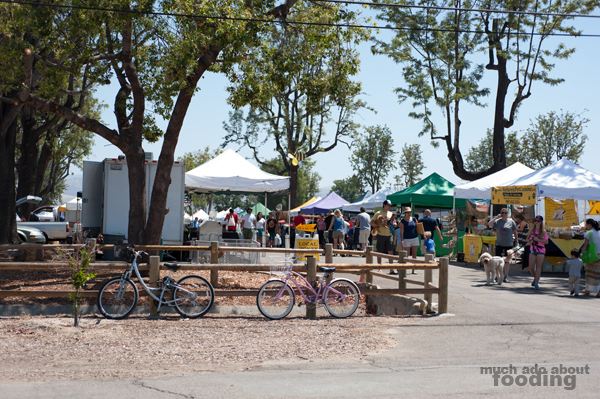 From the large and amply slotted parking lot to the market is a small walkway bordered by trees. Several people walking back and forth also had their dogs with them, a surprising sight considering that most farmers' markets do not allow animals near all of the food products. 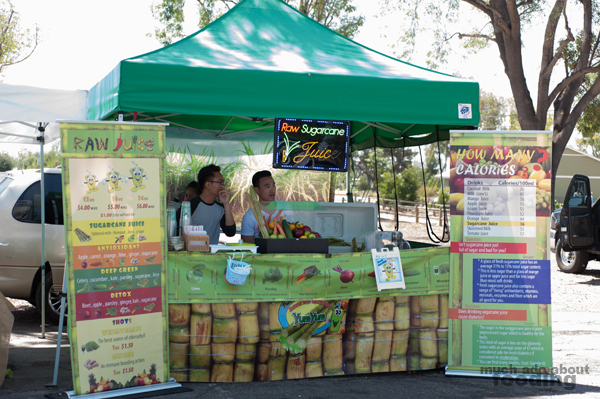 What once used to be a fruitful few stands of herbs, plants, flowers, and trees was now a spot for prepared food products including a raw sugarcane juice bar and whole food pet treats booth. The aisles had been flipflopped so that the first people you encountered were selling non-food items such as clothing, garden accents, and fresh cut flowers. Even further down the first aisle was an area for people to sit and listen to live entertainment. 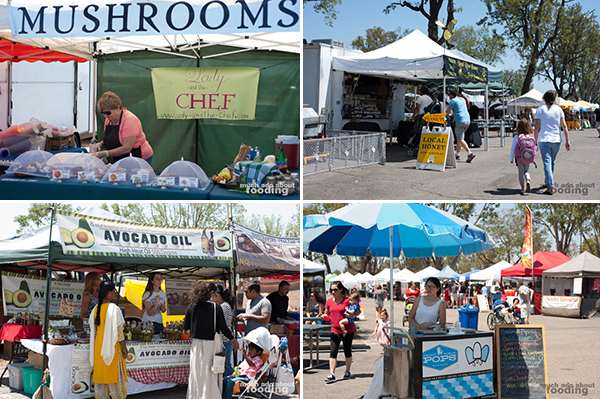 The market is in a horseshoe shape which allows for the blending of both the non-food product aisle and the grocery aisle; the middle of the horseshoe would be all of the food trucks and hot foods you could buy to bring to your table during performances. It is a bit difficult to deny the people who were there slinging their artisan and specialized products. 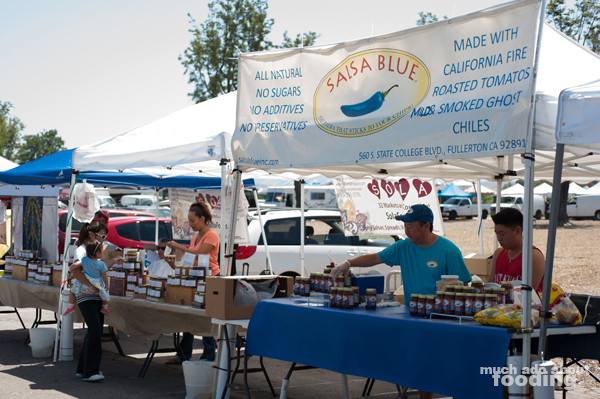 Local salsa, honey, oils, mushrooms, cured meats, popsicles, and even nuts were just a handful of the friendly and welcoming vendors' products we saw. 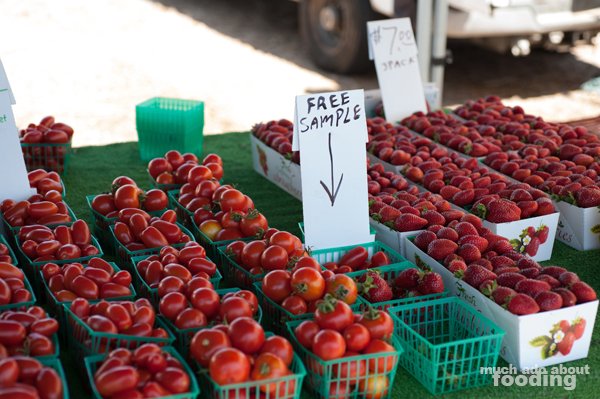 As with most farmers' markets, the samples were abundant and necessary for the curious eater who might have seen items never seen before. 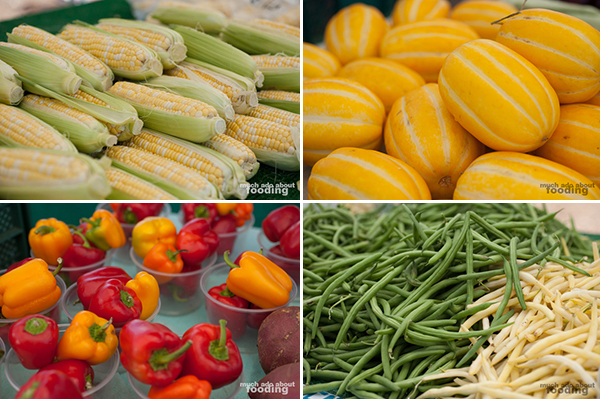 I particularly enjoyed that the produce booths also had samples out of fruits and vegetables that most have never tasted. 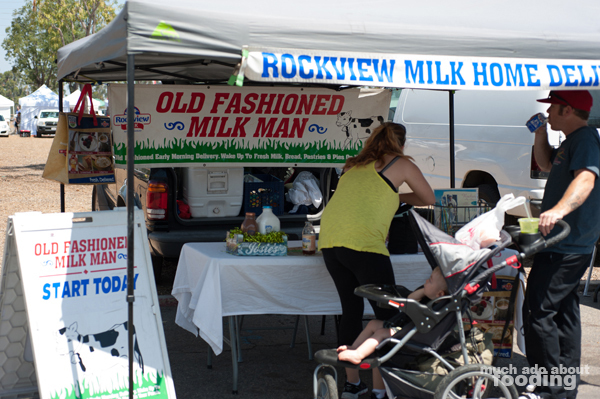 Need an old-fashioned milk man? You've got it. Looking for free-range, organic eggs? Kepner Farms are your people. 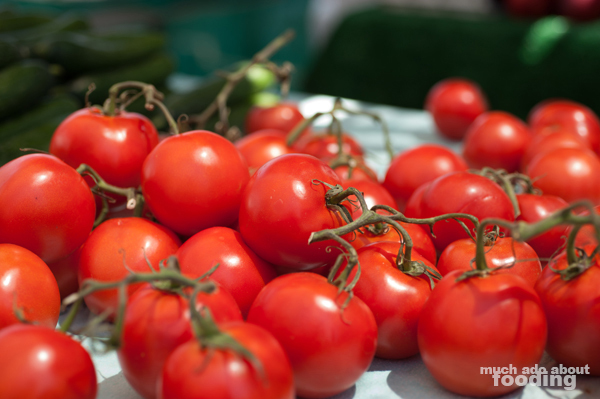 Want to try new fruits or vegetables you've never seen before? 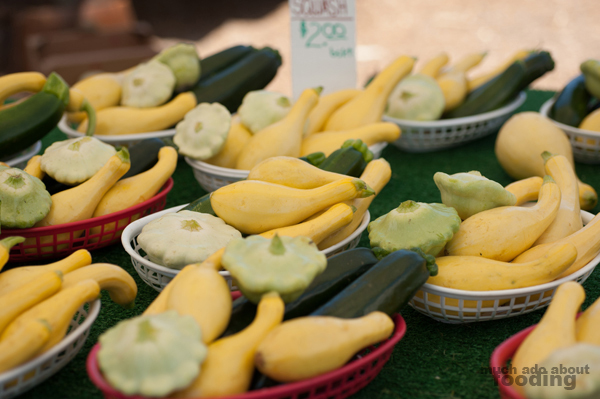 We spotted Korean yellow melon and baskets of squat squash. There are not as many produce vendors as there used to be but those present still carry quality product. We did run into a stall that we have seen at nearly every farmers' market we've visited now - the pluot people. As with the other markets, this was the most thriving booth with lots of people inside and outside of the area. A sample stand was placed in front of the tents with a cheesy catchphrase spewing attendant who gave you pieces of their pluots, plums, and peaches while reciting couplets such as "You can't say no to a nectarango!" It was amusing and really drew the attention of children. If all other tents could be this exciting, they would do much better. 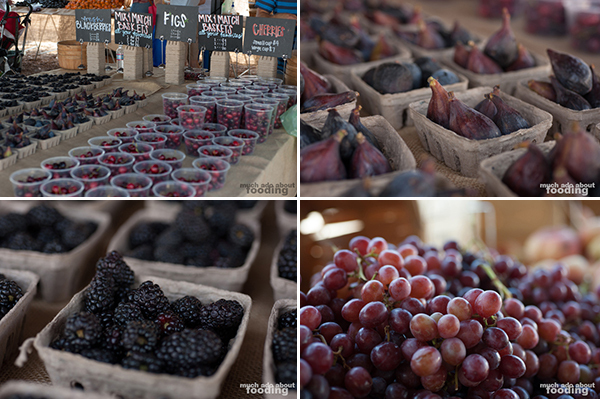 These farmers played music and showcased beautiful, beautiful fruit. 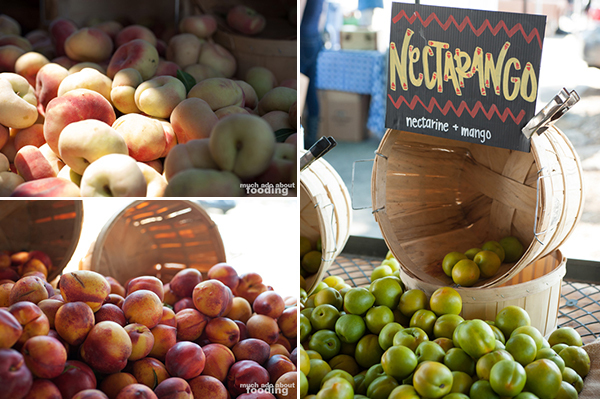 We ended up purchasing some nectarangos and dapple fire pluots. Bravo to these fellas for getting something right. 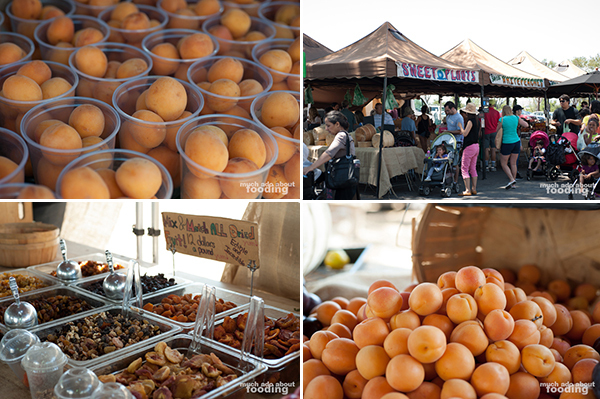 If you're interested in the OC Great Park Farmers' Market, find them on Sundays from 10am-2pm. 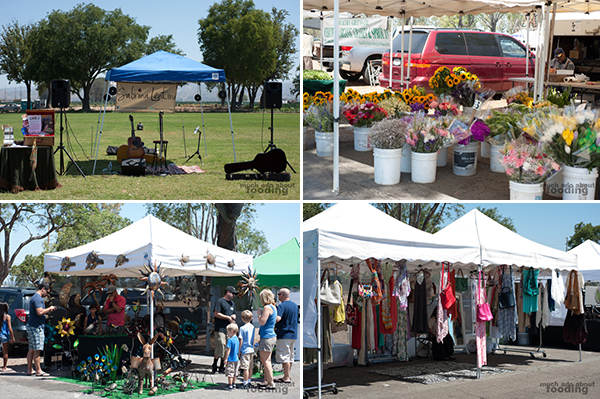 If you visit during the first Sunday of the month, you can also catch the adjoining Antiques Market.